ONE AND J. Gallery was founded in 2005 focusing on emerging contemporary Korean artists. 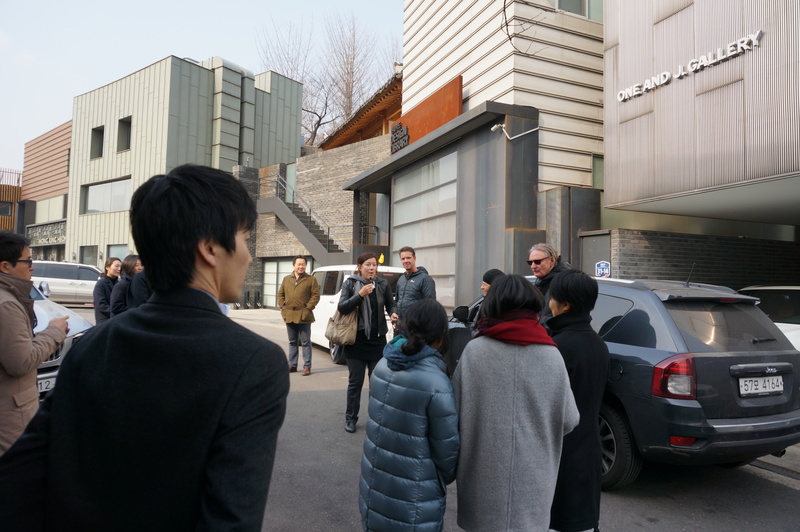 The gallery has participated in the Gwangju Biennale, Busan Biennale, Esslingen Foto and Media Triennale, Asia Pacific Triennale, and Singapore Biennale. The gallery regularly participates in art fairs such as Art Basel Hong Kong (2013), Art Basel Statements (2013), Art Basel Miami Beach (2013), Armory (2013), and Frieze (2012). Works are in the permanent collection of the Spencer Museum, Mori Museum, Queensland Museum of Art, National Museum of Contemporary Art, LACMA, Hammer, Hirshhorn Museum, Seoul MOA, Bank of America, UBS, and Fidelity. One and J. Gallery is an official partner organisation for MAAP’s 2014 international touring exhibition LANDSEASKY. For more information on the gallery, visit their website by clicking here. 원엔제이 갤러리는 2005년에 개관했으며 신진 한국 작가들의 작품에 주력하고 있다. 갤러리 설립 이후 광주 비엔날레, 부산 비엔날레, 이슬링겐 사진 영상 트리엔날레, 싱가폴 비엔날레에 꾸준히 참여하고 있다. 아트 바젤 홍콩(2013), 아트 바젤 스테이트먼트(2013), 아트 바젤 마이애미 비치(2013), 아모리(2013),프리즈(2012)와 같은 아트페어에도 정기적으로 참여합니다. 스펜서 뮤지엄, 모리 뮤지엄, 퀸즐랜드현대 미술관, 국립현대 미술관, LACMA, 해머, 허시혼 박물관, 서울대학교 미술관, 아메리카 은행, UBS은행, 피델리티사에 원앤제이 갤러리 작가들의 작품이 영구 소장 되어 있다.